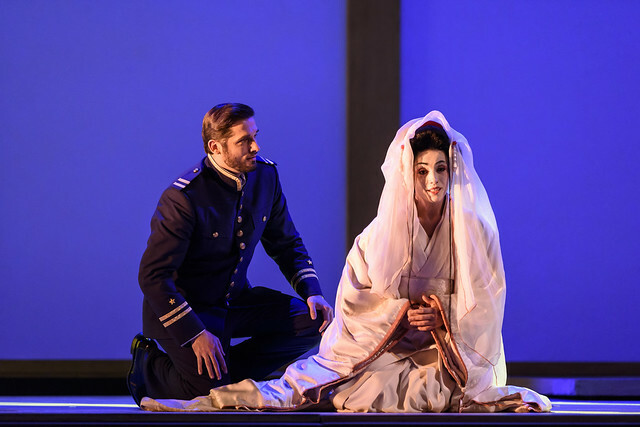 Giacomo Puccini's iconic and beautiful opera Madama Butterfly will be broadcast live to cinemas from the Royal Opera House on 30 March 2017 at 7:15pm BST. 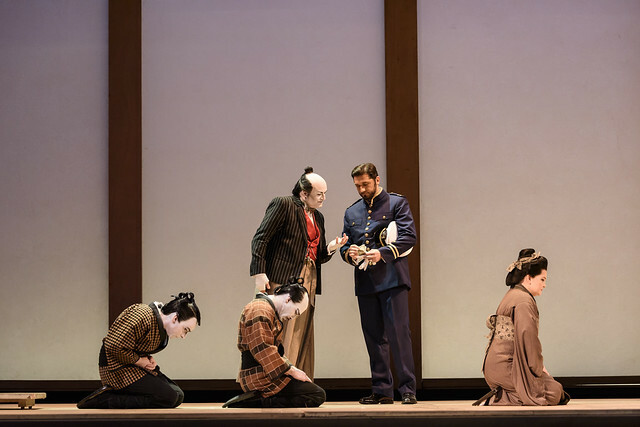 Moshe Leiser and Patrice Caurier’s Royal Opera production tells the story of a Japanese geisha named Cio-Cio-San (Butterfly), who agrees to marry dashing US Naval lieutenant B.F. Pinkerton. She believes that it is a marriage of love, but Pinkerton intends the marriage to only be a temporary arrangement. Enhance your viewing experience by downloading our Madama Butterfly Digital Programme for free using the promo code FREEBUTTERFLY. 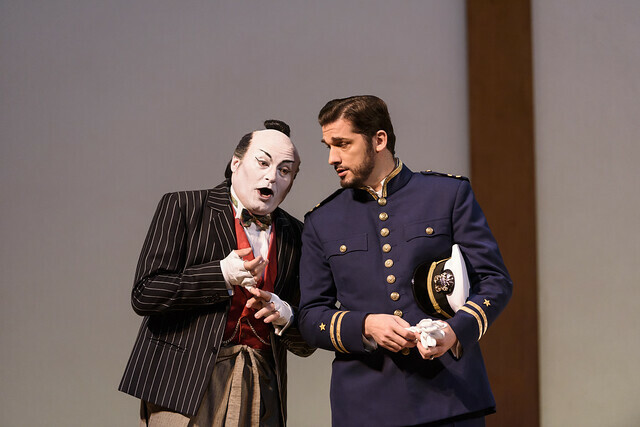 Puccini was entranced by David Belasco’s play Madame Butterfly (based on a popular short story by John Luther Long) when he saw it in London in 1900. He harnessed the talents of librettists Luigi Illica and Giuseppe Giacosa (with whom Puccini had created La bohème and Tosca) to adapt Cio-Cio-San’s tragic tale for the operatic stage. Puccini drew on Japanese folk melodies for the score, one of his most evocative and atmospheric. 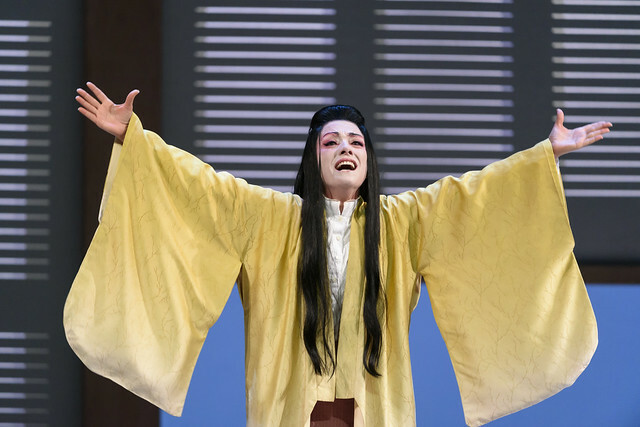 In Act I, Cio-Cio-San expresses her radiant happiness in ‘Ancora un passo’, and the two lovers rapturously declare their love for each other in the passionate duet ‘Viene la sera’. In Act II the mood becomes increasingly strained, as in ‘Un bel dì vedremo’ when Cio-Cio-San longs for the ‘fine day’ when her husband will return to her. 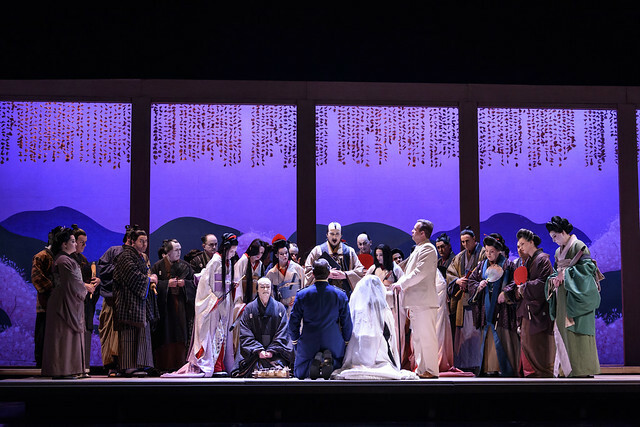 The romantic exoticism of 19th-century European images of Japan – an integral part of Madama Butterfly’s character as a piece – inspire co-directors Moshe Leiser and Patrice Caurier’s elegant production for The Royal Opera. Albanian soprano Ermonela Jaho performs the role of Cio-Cio-San while Argentine tenor Marcelo Puente makes his Royal Opera debut as Pinkerton. The performance is conducted by Music Director of The Royal Opera Antonio Pappano. After the relay, we will publish a roundup of audience tweets, so share your thoughts with the hashtag #ROHbutterfly. Madama Butterfly runs until 25 April 2017. Tickets are sold out, although returns may become available and a limited allocation will be released each week during Friday Rush. The production will be relayed live to cinemas around the world on 30 March 2017. Find your nearest cinema and sign up to our mailing list. It is a co-production with Gran Teatre del Liceu, Barcelona, and is staged with generous philanthropic support from Mrs Susan A. Olde OBE, Aud Jebsen, Spindrift Al Swaidi and The Maestro's Circle. I've checked back and first saw Madama Butterfly at the ROH on 11.12.92 when Yoko Watanabe played Cio-Cio-San and left me in tears and spellbound. She was made for the part. Saw This last night at Ystradgynlais . Absolutely fantastic, forgot I wasn't actually in the Opera House. A wonderful production which may have been " stripped back" but was full of subtles extras such as Emonela's Japanese poses and use of hands and fluttering fingers personifying a dying butterfly at the time of her death! It was so engrossing that members of the Ystrad audience even joined in the applause at the end. I agree. I was overwhelmed. Puente will be the new Domingo! A lovely rich voice. What amazing singing and acting too! Very beautiful simple scenery and lovely to see Pappano in action! A polished performance by all BUT... though I had expected to weep, I found that only Suzuki made me emotional. I felt camera work may have been at fault. Too many close-ups on Butterfly at the emotional moments detracted rather than emphasised. Full body movements might have shown more youthful vulnerability. Pull back camera please! In the theatre we can concentrate on the marvels of the voices, in cinema that's far harder to do. Last night's performance must be the definitive Madama Butterfly - absolutely superb throughout - the characters all so real against the simple traditional setting, the vocals perfect and Pappano at his very best. Are there any plans for a repeat cinema screening? One viewing (at Cineworld in Didsbury, Manchester) was definitely not enough! I saw the replay yesterday at the Vue Cinema Islington. wonderful performance, but I agree with Dee Siddall that there were too many unflattering close ups. The Vue cinema had the sound set very loud, which may have affected the balance, with the voices too loud in relation to the orchestra. Looking forward to the Otello relay, might try a different cinema. I forgot to mention the unnecessary very loud final announcement by Clemency Burton-Hill, when we were reminded once again about upcoming events. We didn't need this when we were struggling to find out hankies before the lights came up. Please can we have a further showing or a DVD issue of this wonderful cast? Pappano is the greatest Puccini interpreter, and Ermonela Jaho is quite simply the definitive Madam Butterfly. I would love to have a permanent reminder of this amazing performance. Thanks for your comment. Madama Butterfly will be released on DVD, but not until early 2018 as editing begins in August. Apologies for the wait, and I hope this helps. This was the first opera I saw, the subtitles didn't work for all of the first half I did not know the story but I was hooked. It was amazing I followed every emotion the singer took me to and cried uncontrollably at the end. I have now seen six more operas but nothing touches me like this production. It is now early 2018 does anyone know when the DVD will be released I am waiting!